A local product, a know-how : an ideal combination to offer season’s quality products… some of them recognized nationally by a label. 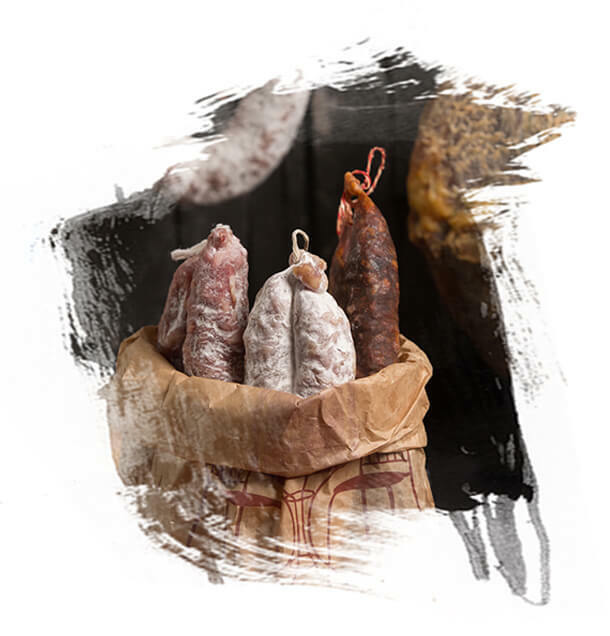 In our Haut Languedoc mountains a gourmet skill has spread for centuries, born from the men’s talent and from a “terroir” : the “salaisons” (dry pork meat). Each generation transmitted their secrets : a good pig, a skill, the art of salt and pepper… and a drying with the wind. Here, the “charcuterie” has not one but many peculiarities : n’a pas « du » mais « des » caractères : freh, cooked (such as fricandeaux, jambonneaux, boudins, bougnettes, melsats, fritons, pâtés…), and dried meat products (salaisons). 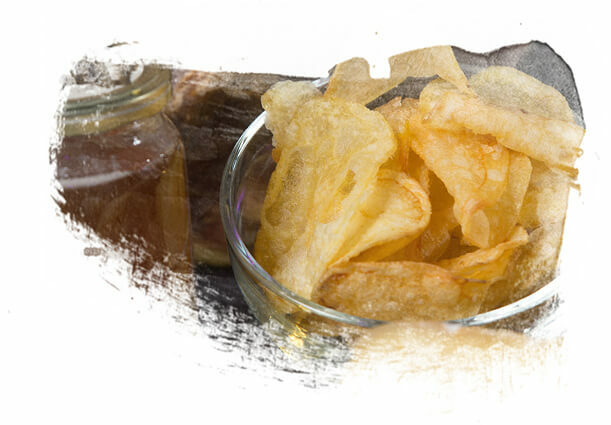 The Ham of Lacaune ®, with its hazelnut taste, is the highest expression of excellent taste and shares its success with the “saucisse” and “saucisson”. As soon as 1969, enterprises got engaged into an official quality approach and obtained a “Label Rouge” on “salaisons” (dry ham, saucisson and saucisse). This involvement is a guarantee for the high quality of their products. In 2015,the “Jambon (ham) de Lacaune, Saucisses and Saucissons de Lacaune” obtained IGP -An attestation of origin : a mountain territory at 800m of altitude with a mountainous climate with oceanic and mediterranean influences good for the drying process. The green meadows are the favourite area for the Brebis Lacaune (breed). 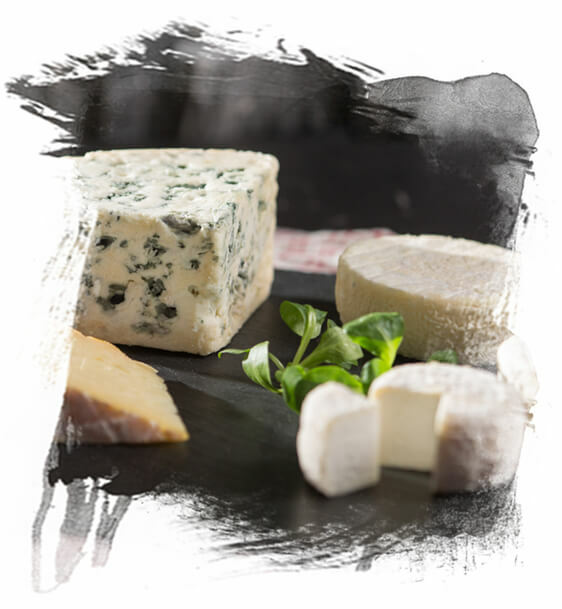 Its milk is used to process the well known French cheese Roquefort. Goats and cows graze also to provide us with typical cheese. Lamb : born from a common work between the Agno’interpro (l‘Association interprofessionnelle de promotion des agneaux du bassin de Roquefort) and the patrimony foundation, the lamb “du patrimoine”comes from the ewe Lacaune breed. It is the first lamb of the year. It supports the pastoral heritage since 1€ /lamb is given to the patrimony fondation. Beef and veal meat : Thanks to its natural characteristics adapted to the region (easy breeding, hardiness, light and supple high density casing), the limousine breed is largely present (about 75%). 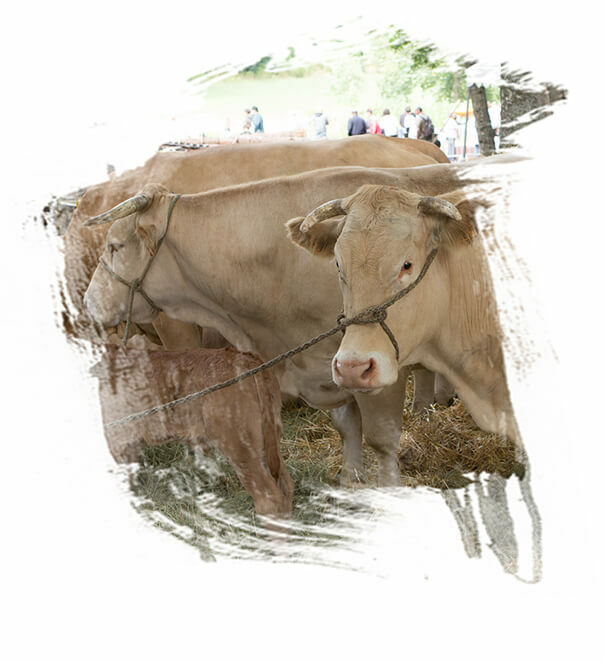 You will find as welle “blonde d’Aqutaine” and “Aubrac” breeds. Cows graze for about 6 months. In winter, they are sheltered and are fed with fodder and cereals (barley, wheat…) from the farm fields. This gives the meat its specific taste.